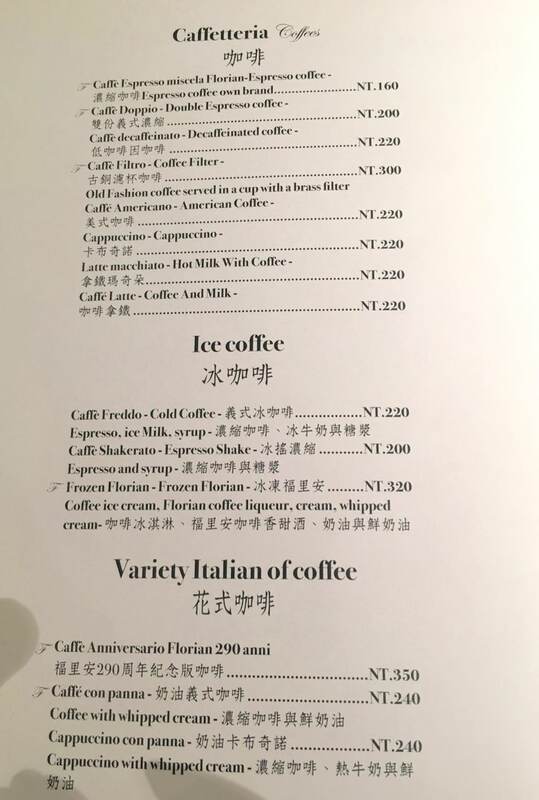 來自威尼斯的Caffé Florian Coffee 福里安花神咖啡館加入台北市信義區咖啡店之一, 除了最有名的“古銅濾杯咖啡”外, 最有名的非“英式下午茶”莫屬. 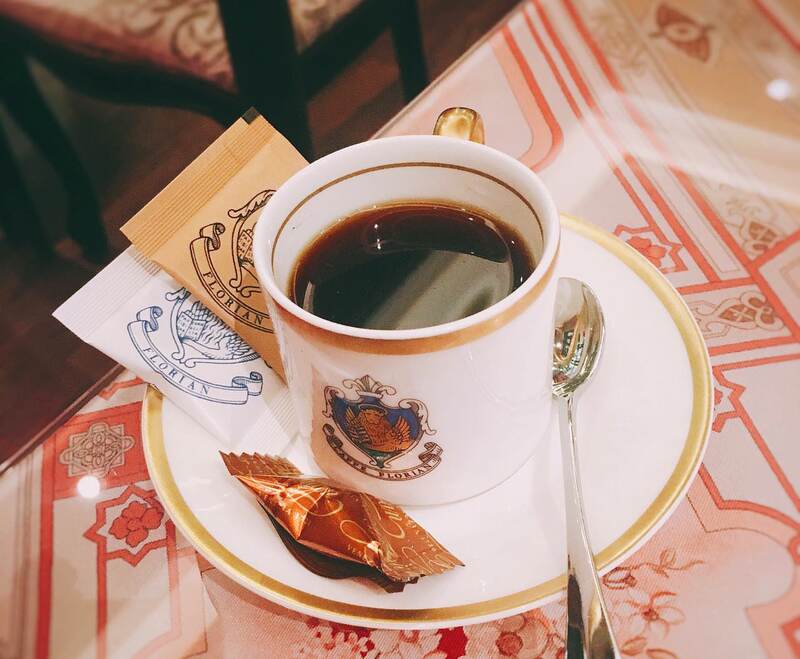 Caffé Florian Coffee from Venice joined one of the Taipei District Coffee Houses. 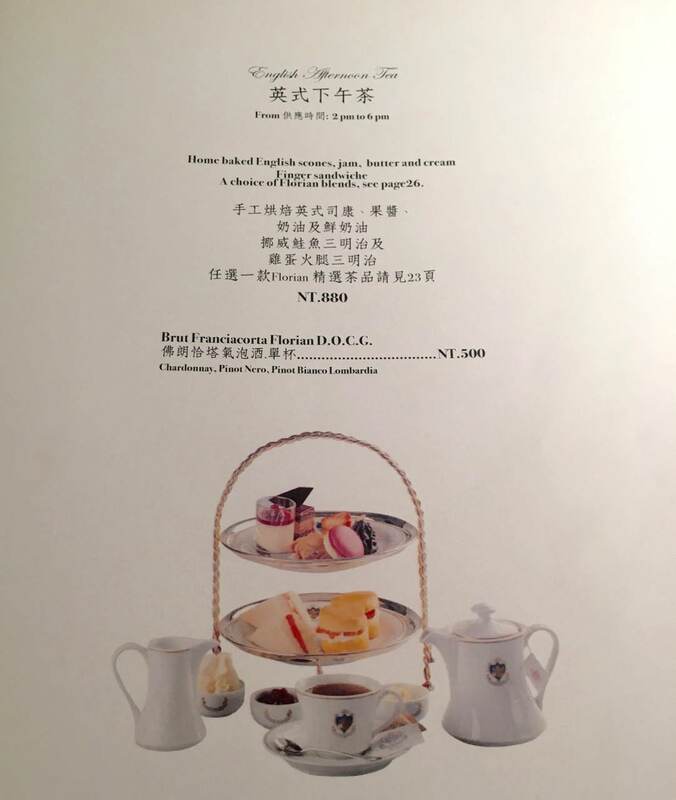 Besides the famous “Caffe Filtro- Coffee Filter”, the restaurant also sells “British Style Afternoon Tea Set”. 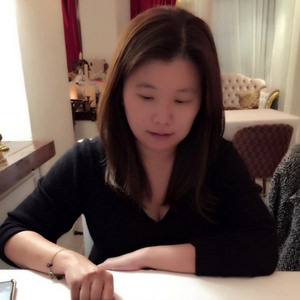 咖啡館內部裝潢華麗, 除了義大利進口傢俱外, 牆上掛了一幅知名義大利攝影師作品“The Wives of the Sea”, 寬敞吧台和擺滿甜點和馬卡龍的冰櫃讓每個客人照相停不下來. The interior design is deluxe. 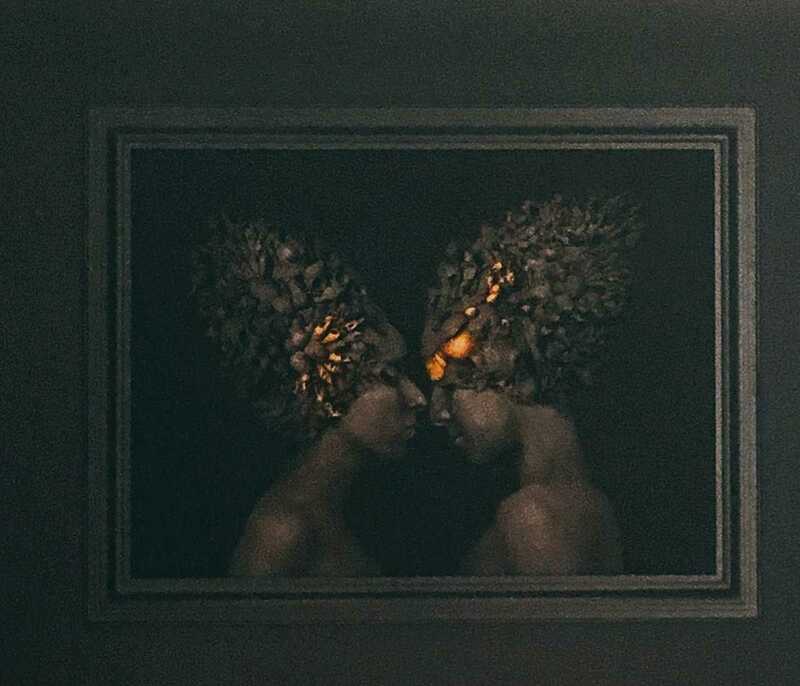 Besides imported furnitures, there is also a famous picture/painting named “The Wives of the Sea”. 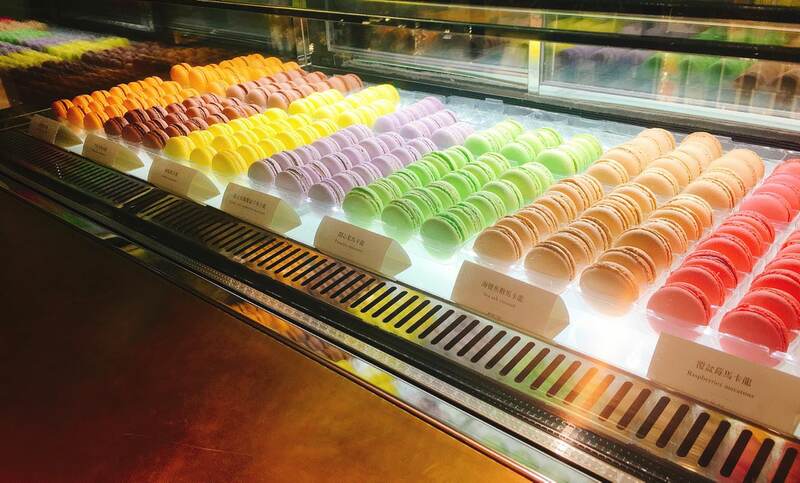 There are also macarons and desserts on the refrigerator display along with the bar. 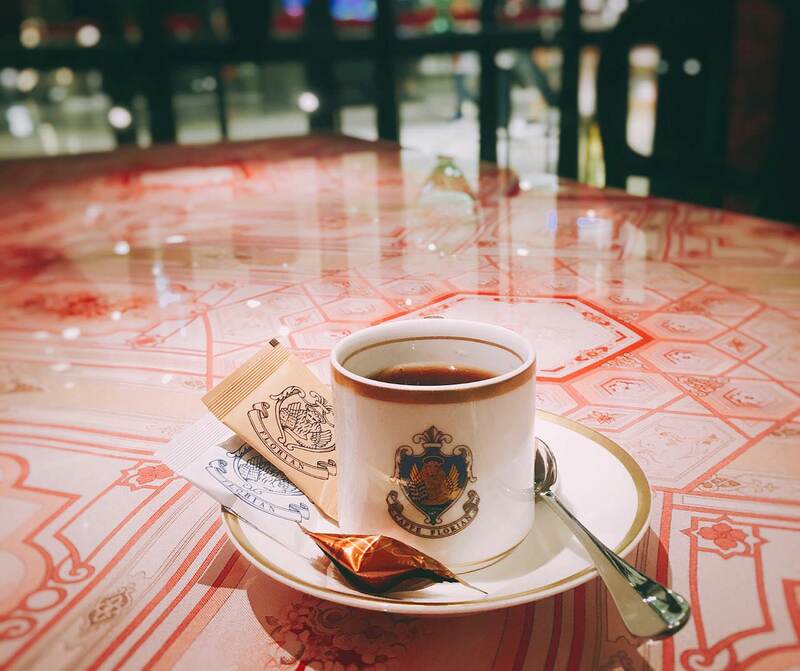 我跟朋友們不約而同都點了古銅濾杯咖啡, 在威尼斯的Caffé Florian Coffee 福里安花神咖啡館, 點古銅濾杯咖啡有服務生在一旁用手沖咖啡, 在台北也是一樣. 用銅器的原因為熱傳導性比瓷器高, 能帶給咖啡粉更直接的溫度導熱, 服務生熟練地將熱水倒入金色銅器中, 完全滴濾到杯中大約1分20/秒後即可享用. 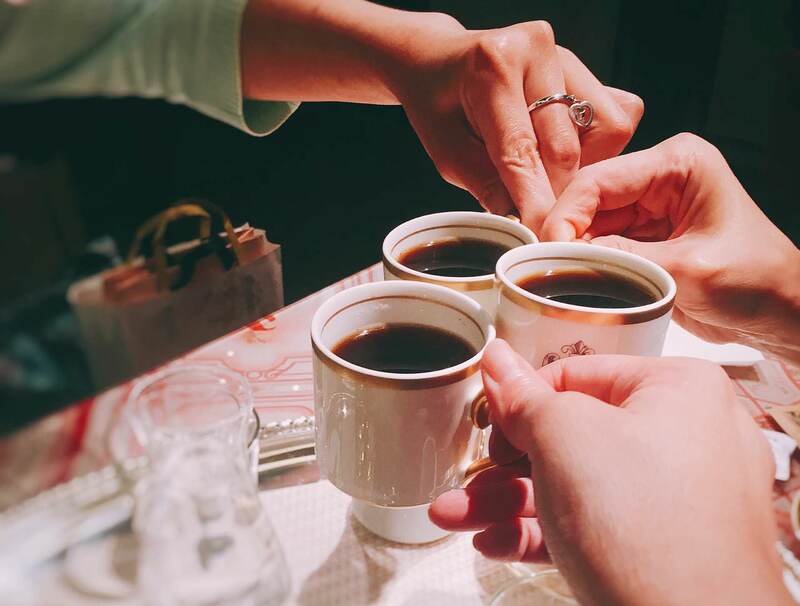 My friends and I both chose “Caffe Flitro-Coffee Filter”. 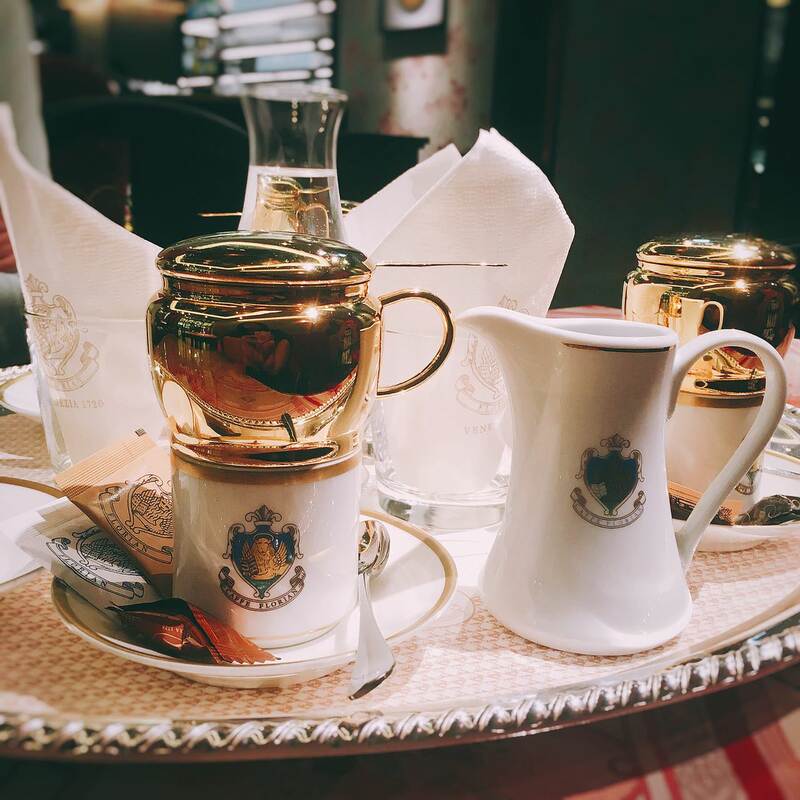 There will be waiters/waitress serve the drip coffee from the copper container. The copper material conducts the heat better, therefore, the coffee powder can be dissolved. It only takes about 1 minutes and 20 seconds for the drip process. 外觀看似苦澀黑咖啡, 喝起來有微酸風味, 但並沒有果香, 咖啡因並不強, 舌尖並無感受到較大衝擊, 尾韻也不會澀, 較為特別的是有少許粉末在杯底, 原因為銅器的濾孔較大, 難免會有一些細粉末. 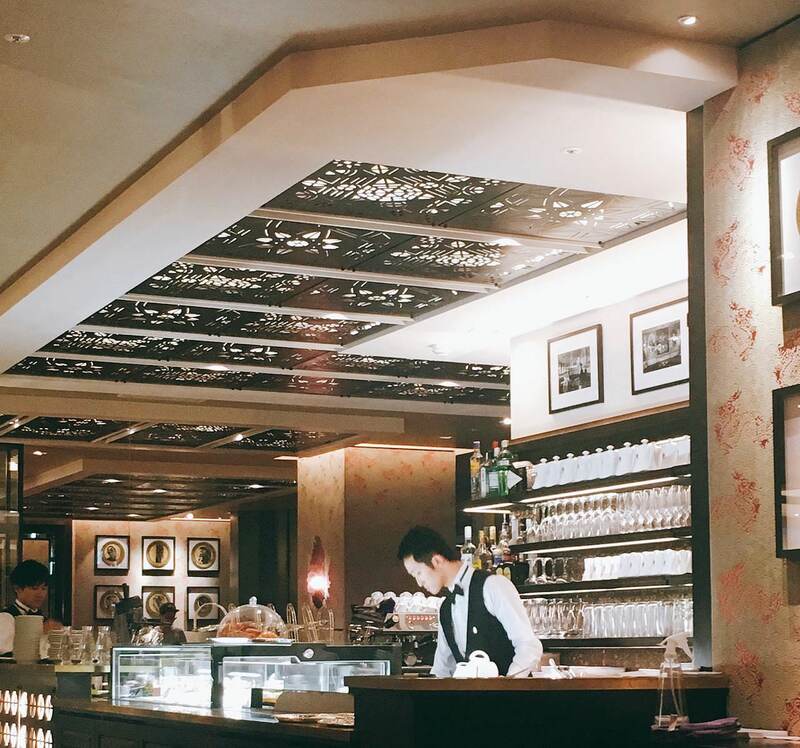 由於是海外分店, 我會建議沒去過 “Caffé Florian Coffee “ 可以去一次, 跟我一樣點古銅濾杯咖啡, 享受下午美好時光. The appearance seemed to be black coffee. But, the taste has hints of acid flavor without any fruity flavor. The tastebuds didn’t take any strong impact from the caffeine is not strong. The end note is not dry though. 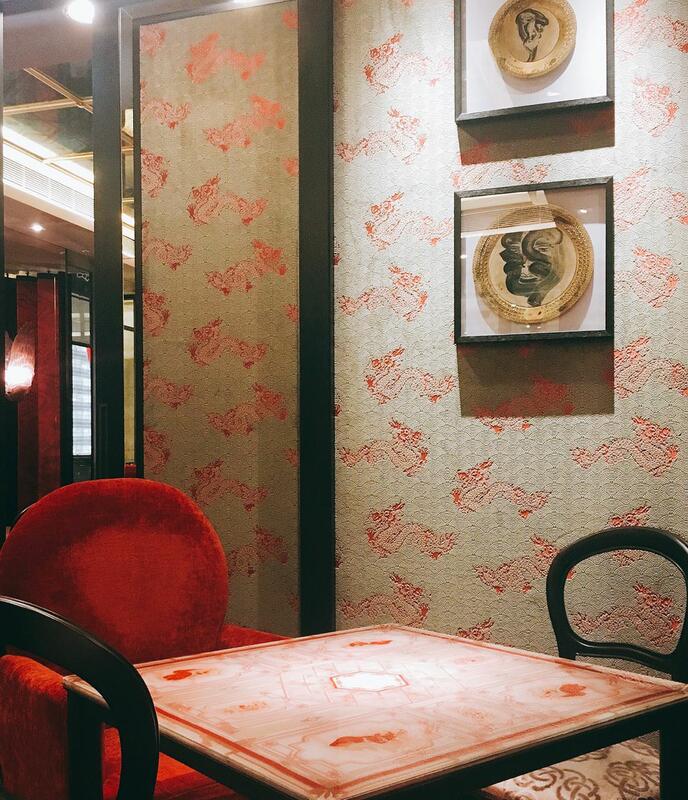 I would suggest to visit this store if you have never been to Caffé Florian Coffee.